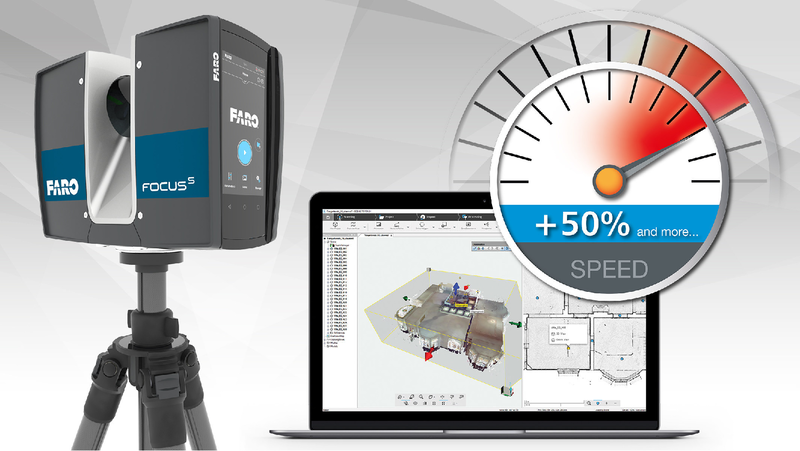 FARO has announced the release of SCENE 2019, an advanced, integrated software platform that optimizes the FARO Focus Laser Scanner product family. SCENE 2019 is specifically designed to evolve the 3D reality capture, analysis and documentation experience across the public safety forensics segment for crash, crime, fire and security planning and Traceable Construction for Architecture, Engineering and Construction markets. A breakthrough FARO innovation in SCENE 2019 allows the laser scanner Central Processing Unit to be leveraged at nearly 100% of capacity reducing scan processing times by up to 50%. Additionally, this efficiency scales up accordingly as additional CPU cores are added. Advanced new functionality now enables a section of a point cloud to be exported from SCENE into FARO Zone 3D software, or other 3rd party software packages, where they can be displayed in color and manipulated as a 3D model. It is now also much easier to merge scans for FARO Zone 3D from different locations.